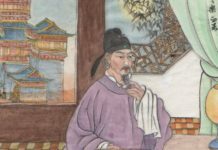 Wang Yangming was the leading figure in the Neo-Confucian School of Mind in Ming Dynasty. With that, we understand that “great learning” is not just the learning for adults or learners with great mind, it relates to total harmony between human and nature. All things are ONE, not two, not three, not four. With this understanding, he can be named “gentleman of virtues” or “man of enlightenment”. 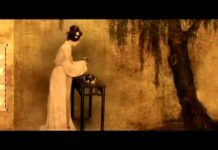 Out of Cheng-Zhu’s Neo-Confucianism that was mainstream at the time, Wang Yangming developed the idea of innate knowing, arguing that every person knows from birth the difference between good and evil. Wang claimed that such knowledge is intuitive and not rational. 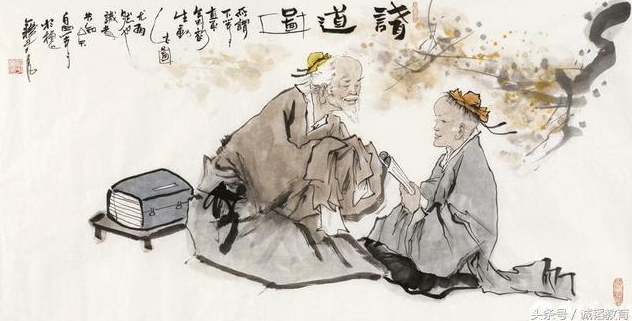 Wang said, “The man of supreme goodness is one of enlightenment and kindness to other people. He who loves his own father also loves the fathers of others; He who loves his own son also loves the sons of others. And he extends this goodness to animals and plants on earth”. Wang held that everything finally finds its root in the mind. It’s the goodness of the mind that directs people to do good to others. He spoke highly of the integration of knowledge and action. Wang’s rejection of the pure investigation of knowledge comes from the traditional view of Chinese belief that once one gained knowledge, one had a duty to put that knowledge into action. In develop his philosophy of action, Wang believed that only through simultaneous action could one gain knowledge and denied all other ways of gaining it. To him, there was no way to use knowledge after gaining it because he believed that knowledge and action were unified as one. Any knowledge that had been gained then put into action was considered delusion or false. Confucius believes that one shall behave themselves as daily training before they can serve the nation and the people with good management. This training is all about the mind. Wang held that objects do not exist entirely apart from the mind because the mind shapes them. He believed that it is not the world that shapes the mind, but the mind that gives reason to the world. Therefore, the mind alone is the source of all reason. He understood this to be an inner light, an innate moral goodness and understanding of what is good. Wang agreed with ancient philosophers that to be enlightened, one has to cut his selfish wants and desires. In order to eliminate selfish desires that cloud the mind’s understanding of goodness, one can practice his type of meditation often called tranquil repose or sitting still. This is similar to the practice of Zen meditation in Buddhism. 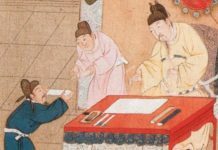 The philosophy of Wang is becoming more and more popular in the west not just in the circle of scholars, but ordinary people.